Wally Broecker in his office on March 27, 2017. 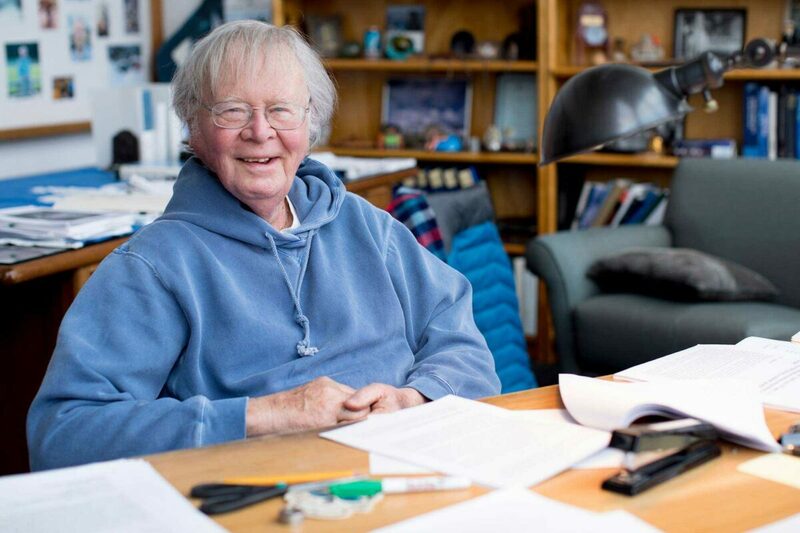 "As someone whose career has paralleled the evolution of my field of isotope geochemistry, and of my scientific home, Lamont-Doherty, I feel an obligation to record how I fit into these two enterprises. I must caution the reader that this book is neither a review of my field nor of my institution. Rather, it is based on my recollections. As recollections often become blurred with time, I include only those things that remain clear in my mind." Late in my career, I was ‘adopted’ by a man named Gary Comer. I say ‘adopted’ because he came to me with questions about Arctic sea ice cover and almost immediately became extremely interested in abrupt climate change.